Following their winning performance at the Merzouga Rally in Africa, Yamalube Yamaha Official Rally Team are geared up for the Atacama Rally 2017 in Chile. Joining the team of Xavier de Soultrait and Franco Caimi will be Dakar Rally sensation Adrien Van Beveren, with the trio of Yamaha riders looking to secure yet more podium success in 2017. Playing host to the third round of the 2017 FIM Cross-Country Rallies World Championship, the Atacama Rally will see Adrien Van Beveren make his much-expected return to racing following his injury earlier this season. Working hard to return to full fitness, the Frenchman will take advantage of the six-day-long event in the dunes of Chile to better prepare for the upcoming Dakar Rally. 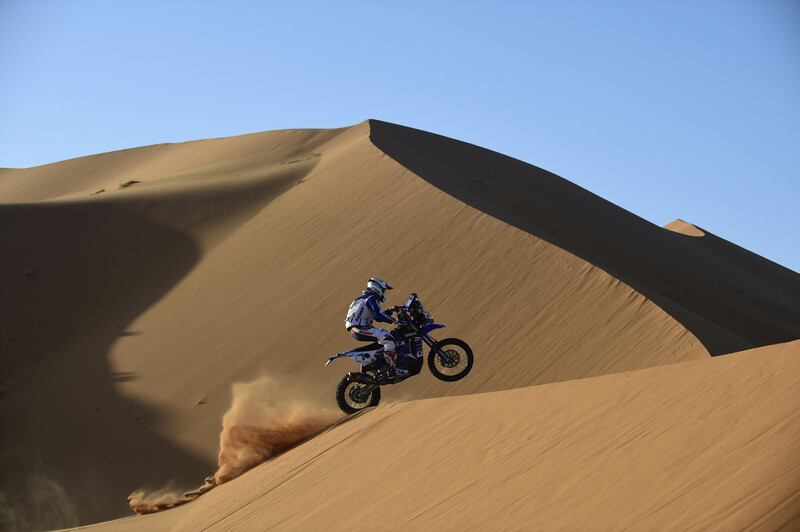 Claiming victory at the Merzouga Rally in May, Yamalube Yamaha Official Rally Team’s Xavier de Soultrait has his eyes set on continuing his strong run of form during the 2017 international rally racing season. Knowing that another strong finish is well within his reach, Xavier will also look to gain further ‘dune riding’ experience and off-track navigation. Yamalube Yamaha Official Rally Team’s line-up for the Atacama Rally 2017 is completed by rally rookie Franco Caimi. Taking the rally scene by surprise with his podium result at the Merzouga Rally, the young Argentinean is eager to continue his apprenticeship aboard the WR450F Rally machine at the week-long Atacama Rally. Kicking off with a short 14km-long prologue on Sunday, August 13, the 2017 edition of the Atacama Rally will see competitors contest a total of five stages in the north of Chile.